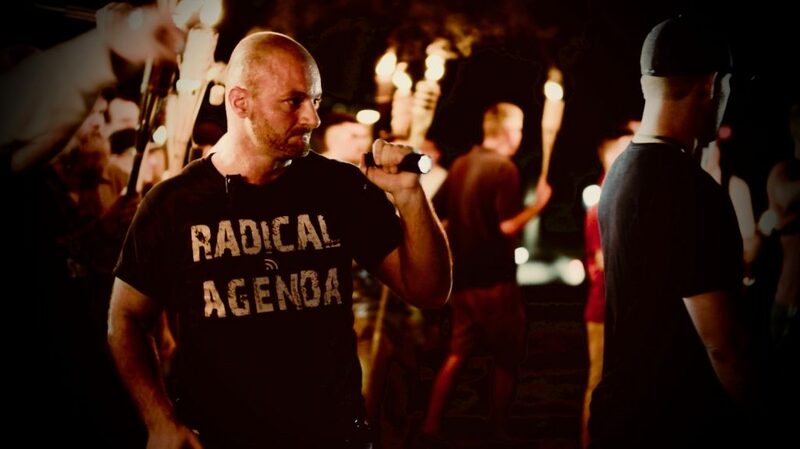 Chris Cantwell, the notorious “Crying Nazi,” is facing up to 20 years in jail for pepper-spraying counter-protesters at the Friday night rally of white supremacists on UVA’s campus, before the now-infamous Unite the Right rally last August. However, in an absurd twist of events, he is now attempting to sue anti-fascists, claiming that they discharged the pepper spray against themselves. 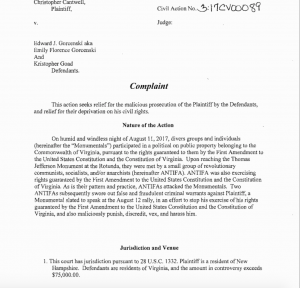 In a complaint filed Dec. 28 by Cantwell’s lawyer, Elmer Woodard, the “Crying Nazi” claimed that he was met by a “small group of revolutionary communists, socialists, and/or anarchists (hereinafter ANTIFA)” who were ultimately part of a conspiracy to “maliciously punish, discredit, vex and harass him.” The complaint opened by stating that these groups were there to prevent him from pursuing his first amendment rights guaranteed under both the US and Virginia constitutions. 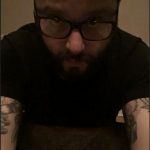 Richmond resident Kristopher Goad, one of the people named in the complaint, told RVA Mag, “The complaint filed by Elmer Woodard is extremely unprofessional. Referring to my ‘disco mustache’ is one of the hilarious examples,” he said. “However, dead-naming a person throughout [the] report is not funny.” The report repeatedly uses the birth name of Emily Gorcenski, a trans woman. “I am not going to comment on the ridiculous accusations until this case is finished,” added Goad. 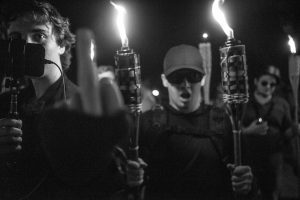 Unite the Right was the largest white supremacist, nationalist, and alt-right rally in decades, which ended in a vehicular terrorist attack that left one woman dead and up to 30 counter-protesters wounded. The rally organizers claimed the event was to protect free speech and the statue of Confederate General Robert E. Lee, which has been scheduled for removal by the city of Charlottesville – a claim Cantwell’s lawyers reinforce in the complaint. Yet the event was lauded by white supremacists and nationalists since its inception, with scions of the movement such as former Ku Klux Klan Grand Wizard David Duke calling on his followers to attend over a month before the event was scheduled.